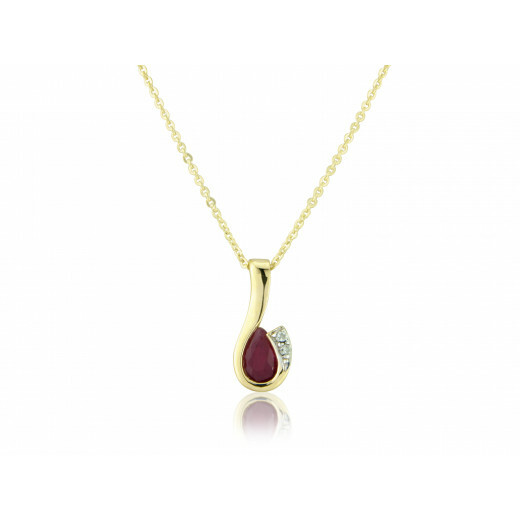 9ct Yellow Gold Diamond and Ruby Pear Pendant on a trace chain. 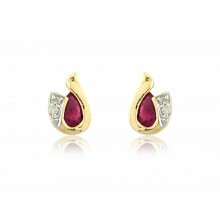 The 6x4mm, 0.36ct pear shape Ruby is wrapped sumptuously by yellow gold with 2 diamond highlights set in white gold prongs. 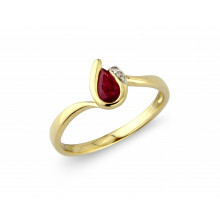 Rubies make red hot jewellery and is the stone for the month of July. Its qualities include prosperity and confidence. Delicate trace chain has a length of 16" which is extendable to 18" with bolt and jump ring clasps.A suitable gift for many Cancerians and Leo's.